Have sketchbooks, will chat comics and movies! See you there. Janet Hetherington and Ronn Sutton attended the Canadian Independent Film Festival on February 16, 2019. BLACK GOOSE won Best Feature screenplay. Producers: Contact Janet if you are interested in this award-winning horror thriller script. Black Goose - Screenplay Finalist! 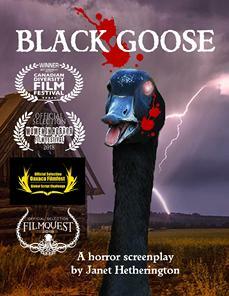 Janet Hetherington's horror screenplay BLACK GOOSE won Best Screenplay at the Canadian Diversity Film Festival 2018. Women in Horror Film Festival 2018. 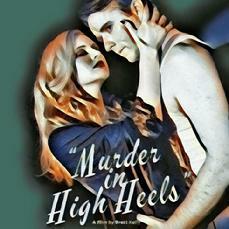 A thrilling film noir feature filmed in Ottawa, Canada! Upate on this movie coming soon. Directed by Brett Kelly, screenplay by Janet Hetherington, produced by Gray Chance Films. Thanks to everyone who came to the Ottawa Premiere at the Mayfair Theatre on October 15, 2018! Check out (and like!) the Facebook page for behind-the-scenes news and info. GOTHIC TALES OF HAUNTED LOVE NOW AVAILABLE! Featuring 22 original stories from some of modern comics’ finest talent, Gothic Tales of Haunted Love collects fragments of lovers torn apart, ghostly revenge, and horrific deeds, in the vein of 1970s gothic romance comics such as Haunted Love, Ghostly Tales, Dark Mansion of Forbidden Love, and Gothic Romances. Hope to see you at various conventions thorughout the year, where you can get an authographed copy! 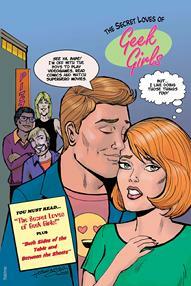 Janet has a one-page comic strip in SECRET LOVES OF GEEK GIRLS: REDUX, a follow-up to THE SCRET LOVES OF GEEK GIRLS. 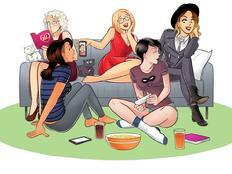 Want to know more about Hope Nicholson's project THE SECRET LOVES OF GEEK GIRLS? Read the story that has an interview with contributor Janet Hetherington at GraphicPolicy.com. The new edition of THE SECRET LOVES OF GEEK GIRLS debuted in October 2016 from Dark Horse Comics. Want to know more about Ronn's graphic novel about outlaw bikers? Hear the Alan Neal CBC ALL IN A DAY interview with Ronn Sutton and Phil Cross on LUCIFERS SWORD MC! Janet Hetherington reveals her secret crush on Captain James T. Kirk in an exclusive video featured on Entertainment Weekly. The all-female creative team behind the book The Secret Loves of Geek Girls divulge a lot in their new comic series, but in the exclusive video, they get personal and dish on their first fictional crushes. 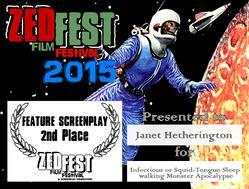 Janet Hetherington continues to write comics and screenplays, such as the sci-fi horror comedy INFECTIOUS or SQUID-TONGUE SLEEPWALKING MONSTER APOCALYPSE, which took second place in the 2015 Zed Fest Film Festival Screenplay Contest. Janet Hetherington's sci-fi horror comedy screenplay INFECTIOUS or SQUID-TONGUE SLEEPWALKING MONSTER APOCALYPSE is available in paperback or e-book from Amazon. Find out more at Janet's blog. This is the official site of Janet Hetherington's BEST DESTINY imprint. It is also the home of Hetherington/Sutton Studio. JANET HETHERINGTON and RONN SUTTON are professional writers and artists who have been creating comic strips and comic books together since the early 1990s. The creators work together or independently, depending on the project. In addition to comics, Hetherington/Sutton Studio also provides research, writing and illustration services to international clients/publications. In 1997, Janet Hetherington wrote, drew and self-published Eternal Romance, a supernatural love comic series that earned critical success and a place in Trina Robbins' book, The Great Women Cartoonists. More recently,Janet has been working on screenplays. Produced scripts include THE LAST OUTLAW, JESSE JAMES; LAWMAN and THE HOUSE ON ARCH LANE. FIND OUT MORE AND WHAT'S NEW! Welcome to the home of Eternal Romance... and more! We hope you enjoy what you see. 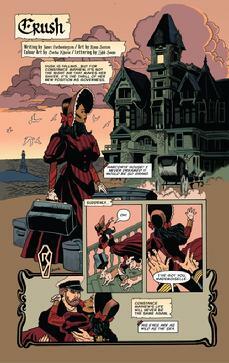 Ronn Sutton has enjoyed a long career in comics and as an illustrator and designer. You can find out more about Ronn Sutton's work and see his comic book and other illustrations by visiting www.ronnsutton.com. Eternal Romance by Janet Hetherington and more! Cool apps... click to downlaod! Site contents © Janet Hetherington; characters © respective creators and owners.